Microsoft's acquisition of Nokia's Devices & Services division was one of the toughest tech breakups. Nokia has sort of a comeback to consumer devices though by licensing their brand for Foxconn to use in a co-designed product - the Nokia N1 tablet. It runs Android and has an all-aluminum body, plus it's among the first devices with USB Type-C, which shows the Nokia team hasn't lost its drive to innovate. This isn't quite the old Nokia though, all the engineering talent for mobile devices went over to Microsoft. Still, Nokia oversaw the design while Foxconn (better known in the West for manufacturing stuff for Apple) will do the actual building. 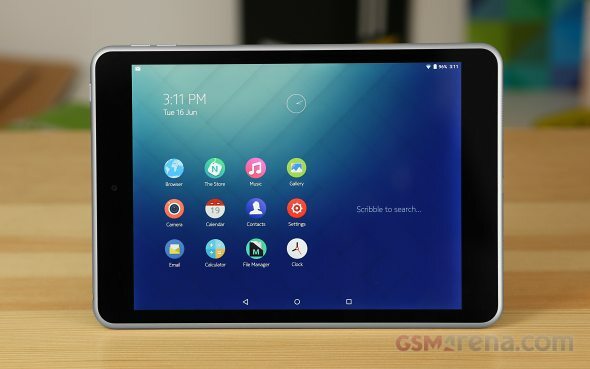 Speaking of Apple, the Nokia N1 is very clearly positioned as an Android alternative to the iPad mini. It's not the first, but at least it nails the aluminum unibody. Other similarities include the 7.9" screen with 4:3 aspect ratio and the reversible plug. 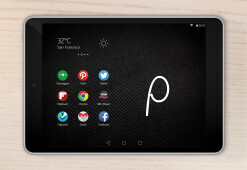 While it may have borrowed the form factor, Nokia beat its own path with a customized Android. The result is a mish-mash of Android styles ranging from Gingerbread (seriously) to Lollipop. The base OS is Android 5.0 Lollipop, but Nokia's custom apps need work. Note that we got our Nokia N1 unit brought from China so it doesn't have Play Store installed, but the international version, which is reportedly under way, will have proper access to Googles' store. Nokia's app store is obviously not up to par. The one piece of software that is actually good is the Z Launcher. It simplifies launching apps by using handwriting recognition - you scribble a letter or two to search for an app. The launcher will learn which apps you use the most and offer them on the homescreen. If that sounds cool, you can try it out on any Android device by downloading the Z Launcher from the Play Store. The Nokia is at the forefront of the inevitable move to the superior USB Type-C. The company also played it safe with the choice of chipset, going with Intel instead of troubled Qualcomm - the Atom Z3580 will age better than the Snapdragon 810 if you ask us. Nokia's return to consumer products brings a mix of excitement and disappointment, but we certainly hope we'll even more products from the Nokia/Foxconn partnership - why not even phones. Our main gripes are software related though, so you shouldn't feel like a beta tester - when Nokia gets the software right, you'll reap the benefits too. Cannot get the flight mode to turn off. Now what? ?